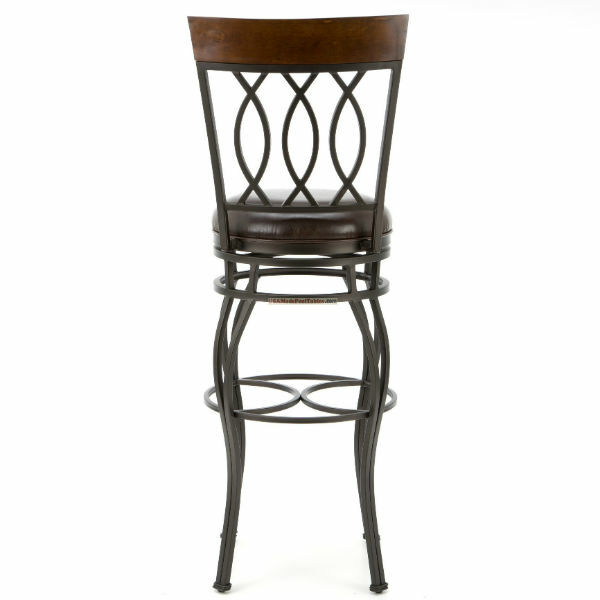 Very Tall Swivel Bar Stool for Your Kitchen, Bar or Basement! Sometimes needing something unusual means you have to compromise on looks or quality. That is definitely not the case with the Bella Bourbon Extra Tall Bar Stool by American Heritage. 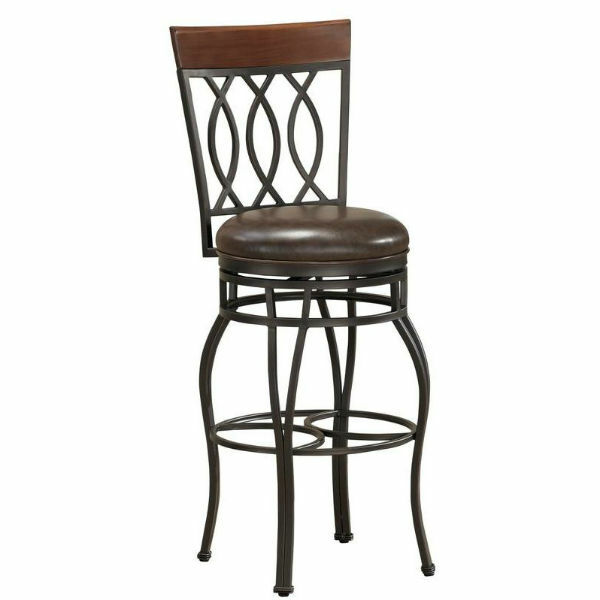 Worthy of its name, the Bella Bourbon Extra Tall Bar Stool is gorgeous and of exceptional quality. This metal bar stool has a graceful metal back with a wooden accent and a comfortable 3” thick bonded leather cushion. The widely curving legs offset the lovely seat, which is at an extra tall 34” high! The Bourbon Bella Extra Tall Bar Stool by American Heritage comes in an up-to-date pepper finish with a matching bourbon leather upholstery.